Dimensions: 11"(L) x 7.8"(W) x 15"(H). Structure: 1 large main pocket, 1 front zip pocket, 2 side open pockets, 8 small shelters, side zipper open. Capacity: can hold your laptop, cell phone, umbrella, wallet and etc. 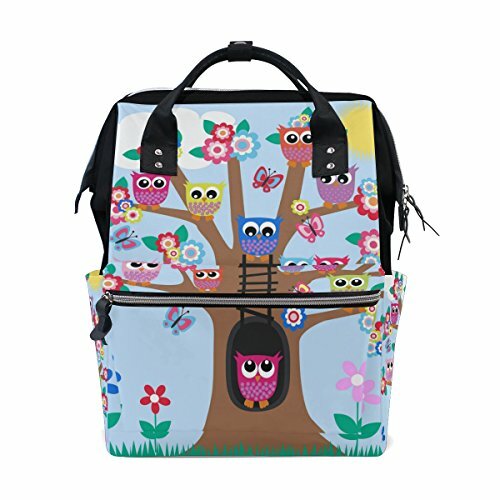 Usage: Great backpack for school,traveling and casual daily use, When you are outdoors with your child, you need a reliable and functional bag that can conveniently carry all the necessary accessories. Note: Please kindly know that the backpack might appear slightly different because of different screen display settings.